I was lucky enough to receive an advance copy op Nicki Trench’s latest book Cute & Easy Crochet with Flowers. The book is filled with 35, count it, 35! beautiful crochet projects incorporating floral motifs. The 35 projects are divided into three chapters: Starting Out, Practice Makes Perfect and Confident Crocheting. Like any good crochet book it also contains a Crochet Know-How section which will guide novice crocheters and experts alike along their way, with stitches and techniques. 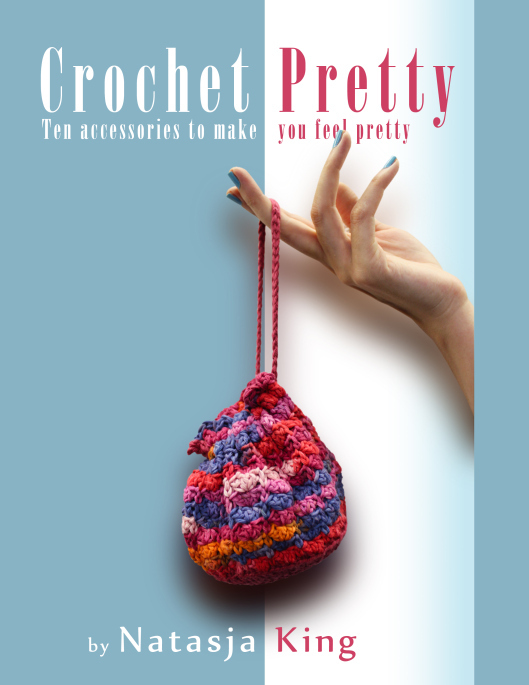 A very clever touch to this book is that the crochet stitch abbreviations are given for every pattern, and only the abbreviations that you would need for that project. This means no more flipping to the back or front to look up stitch abbreviations – you have it right there in the pattern. This also means that a novice crocheter isn’t intimidated by the long list of crazy crochet stitches, but can work their way through crochet stitches one at a time, and as needed. As you can see, the photography and styling for Cute & Easy Crochet with Flowers is stunning. It made me want to 1) move home and 2) crochet all 35 projects so that my new home would look like this. So what was my project of choice? I immediately fell in love with the Vintage-style Vase Coasters from the Confident Crochet section. The pattern is very well written (as all of Nicki’s patterns are) and easy to memorize once you’ve made your first coaster. The handy tip to this pattern was a lifesaver. Nicki gives the colour options to make two versions of the vase coaster, but I made mine in shades of purple and white so that I can use it as a table decoration for the Crochet for Kidney Research UK day on the 9th of November. Great plan right? I also didn’t stop here. I made two more in the colours I used for the Lacy Coasters guest blog on Patchwork Harmony. Nicky’s vase coaster is the perfect accompanying item for my lacy coasters. I left out the flowers along the edge, and in stead made a 3 chain picot so that the vase coasters would have the same edging as the lacy coasters. I think Cute & Easy Crochet With Flowers is a fantastic crochet book. The patterns suit all levels of crochet skills. Every crocheter will find something they would want to make for themself, as a gift, for the home, or just for the love of crocheting flowers. The book is currently on sale on Amazon for £9.09. There’s a link to the Amazon listing for the book on the right of my blog under the “Books I recommend” section, or you can click on the photo of the cover at the top of this post. 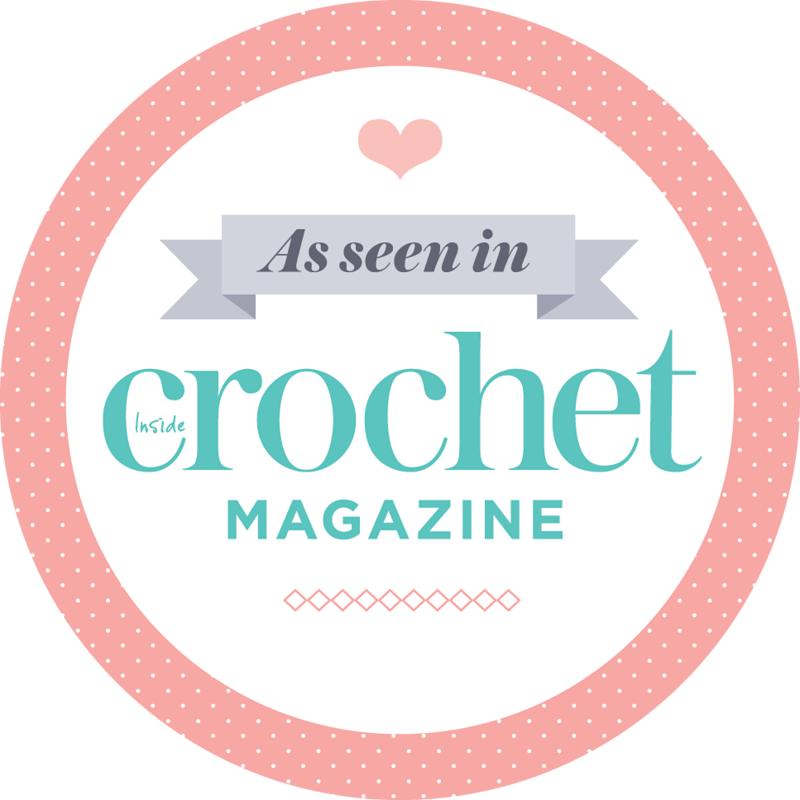 If you buy Cute and Easy Crochet With Flowers, I would love to hear what you think of it and see which of the 35 projects you chose to crochet first. *The book was sent to me by the publisher. I did not receive payment for doing the review. The opinions in this review are my own. There are affiliate links in this post, which help me run my blog. Sounds as if it is a must have book. Are the terms uk or us? Definitely a must have book! It’s all UK terms. Now that is good to hear. Wow, that seems like a stunning book. Going on my “Xmas wish list” immediately.